The Value Added Tax Act (“VAT Act”) has been amended to exempt commissions on capital market transactions from VAT through the Value Added Tax (Exemption of Commissions on Stock Exchange Transactions) order 2014 (Order). The Order was published in a gazette dated 30 July 2014 and signed by the Coordinating Minister for the Economy and Honorable Minister of Finance. This is in line with the VAT Act which empowers the Minister to amend, vary or modify the VAT exemption list in the First Schedule to the VAT Act. This further supports the government's commitment to the development of the capital market since the issue of the Companies Income Tax (Exemption of Bonds and Short Term Government Securities) Order, 2011 and the Value Added Tax (Exemption of Proceeds of the Disposal of Government and Corporate Securities) Order, 2011. The commencement date of the Order is 25 July 2014 and would be in force for five years from the date of commencement. This means that the exemption would expire on 24 July 2019 unless it is further extended by the Minister. Given that the Exemption Order was not made public on time, any VAT already paid on the exempt transactions should be claimable via adjustments in subsequent VAT returns. VAT is an indirect tax and therefore it is borne by the final consumer. In relation to capital market transactions, any VAT charged on commissions was passed on to issuers and investors as the case may be. Given that VAT on services is not claimable, the cost is borne by the payer. With this exemption, it is expected that capital market transaction costs will benefit investors. The removal of VAT is expected to bring down the average cost of transactions on the stock market to about N24 .7 million on daily basis. For instance, for five day trading ended on the 2 October 24, 2014, total volume of transactions exchanged on the exchange was 1,412,69,835 shares. 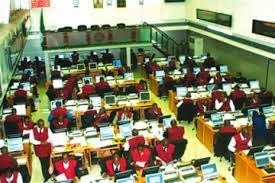 So, averagely, on daily basis, NSE records 282,593,967 shares, indicating that investors pay about N24.726 million as VAT for selling their shares. The exemption would also reduce compliance costs for operators such as stockbrokers and the regulators in accounting and remitting VAT to the Federal Inland Revenue Service (“FIRS”). The purpose of the exemption is to encourage more trading in securities and ultimately reduce the cost of transactions for investors, and encourage investments in the Nigerian capital market. However, it is expected to be in force for five years. Investors can therefore take advantage of the exemption.